For over five years, the neighbourhood had to look at the stalled structure of a never-completed retirement residence that even held a shipping container-office at one point. Finally, about two years ago a new developer started to draft a new plan, one which iteself was caught in limbo as the proposal for an 11-storey condo/retail building was argued down to an eight-storey condo/townhouse project, before ultimately settling nine storeys. Some neighbourhood residents still aren't happy about that "extra floor". Either way, the goal to (at least) get rid of the abandoned structure has been finally achieved, and the neighbourhood's hope is up again for a development worthy of such a prime location. 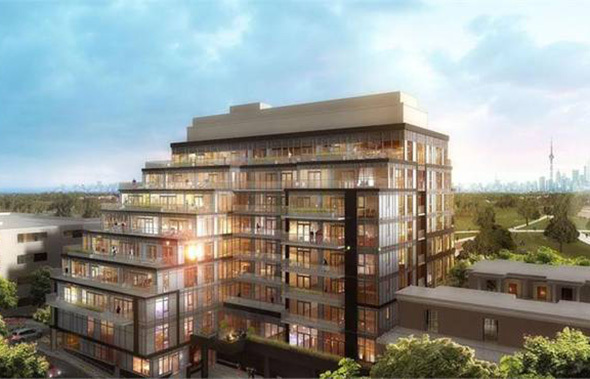 The Code Condos plans to incorporate the 9-storey brick-and-glass boutique building with north-side terraces that stagger inwardly to fit in with the line of private and luxurious homes that define the Forest Hill neighbourhood to the north. As far as the floor plans go, they range from standard studios to 3+den townhouse at grade level, which feature large patios. In the amenities department, there's not much to it over and above the standard offerings, but if you have a doggie, you'll love the on-site pet washing station. Units Sizes: From 413 to 1699 sq. ft. 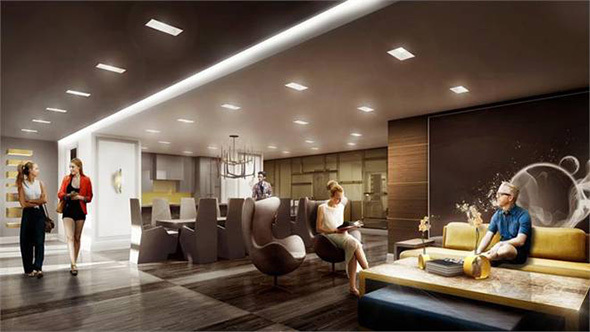 Interior Designer: Tomas Pierce Interior Design Consulting Inc. The Code Condo surely gets it right with name selection. 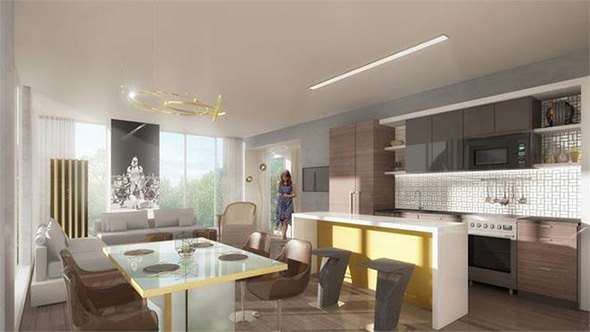 This development is all about the postal code of this affluent neighbourhood. The development score points for its staggered terraces, especially for those yet-to-be-convinced neighbours that the exhaustively reviewed "extra floor" won't make this structure out of scale with the neighbourhood. And even if it doesn't seem to offer any outstanding features, its standard (if a bit condensed) suites are as nice as any new downtown development, and regardless of what the neighbours might think, this is exactly the type of development that the ROW-equipped St. Clair Avenue should have.